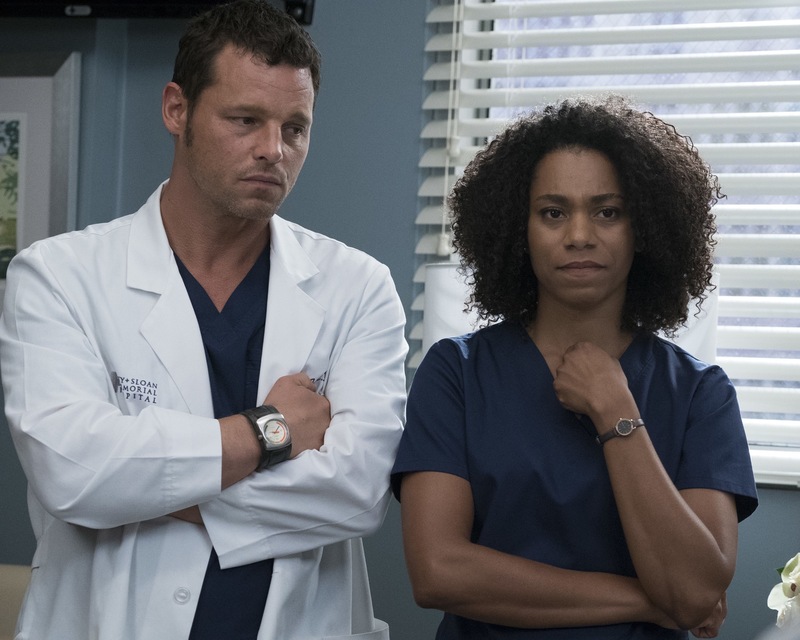 One of Grey Sloan Memorial’s own is seriously injured, making the team reflect on what is truly important to them. Meanwhile, Nicole Herman pays a visit to Grey Sloan and talks to Arizona about an exciting opportunity. Grey’s Anatomy stars Ellen Pompeo as Meredith Grey, Justin Chambers as Alex Karev, Chandra Wilson as Miranda Bailey, James Pickens Jr. as Richard Webber, Kevin McKidd as Owen Hunt, Jessica Capshaw as Arizona Robbins, Jesse Williams as Jackson Avery, Sarah Drew as April Kepner, Caterina Scorsone as Amelia Shepherd, Camilla Luddington as Jo Wilson, Kelly McCreary as Maggie Pierce and Giacomo Gianniotti as Andrew DeLuca. Air Date: Thursday, May 10 (8:00-9:00 p.m. EDT) on ABC. Guest starring are Stefania Spampinato as Carina Deluca, Rachel Ticotin as Marie Cerone, Jake Borelli as Levi Schmitt, Rushi Kota as Vik Roy, Sophia Ali Taylor as Dahlia Qadri and Jaicy Elliot as Taryn Helm. “Fight For Your Mind” was written by Andy Reaser and directed by Jesse Williams. Air Date: Thursday, May 3 (8:00-9:00 p.m. EDT), on ABC. 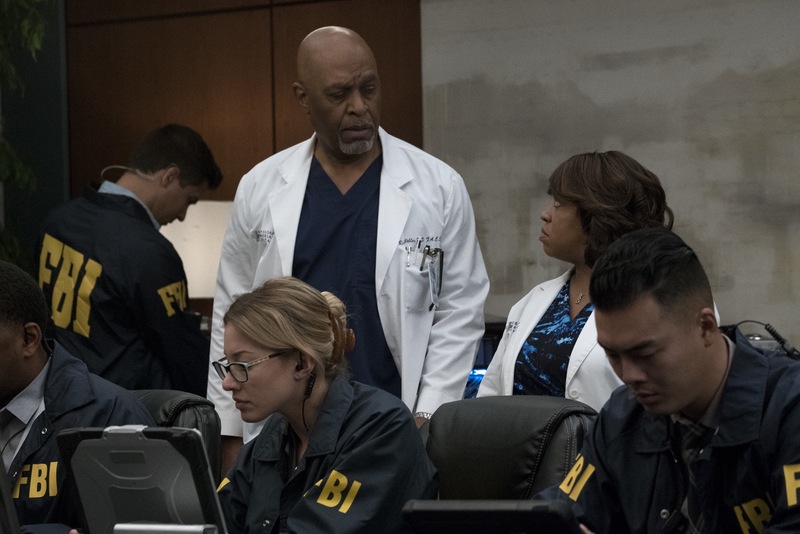 “Bad Reputation” – The hospital brings in crisis management to help them sort out allegations against Harper Avery. 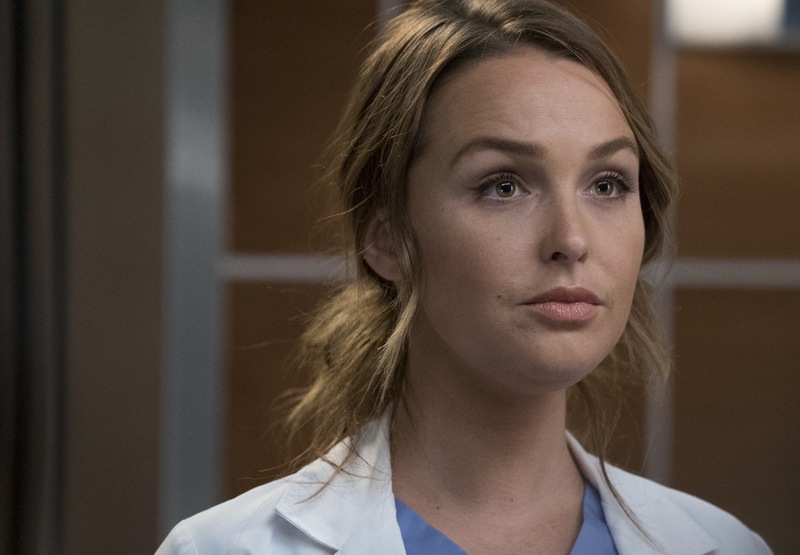 Meanwhile, Nurse Olivia shows up at Grey Sloan with her son, throwing Alex and Jo for a loop; and Arizona decides to spend more time with Sofia who is having a hard time at school, on “Grey’s Anatomy,” THURSDAY, APRIL 26 (8:00-9:00 p.m. EDT), on The ABC Television Network, streaming and on demand. Guest starring are Debbie Allen as Catherine Avery, Stefania Spampinato as Carina Deluca, Sarah Utterback as Nurse Olivia, Jake Borelli as Levi Schmitt, Rushi Kota as Vik Roy and Jaicy Elliot as Taryn Helm. “Bad Reputation” was written by Mark Driscoll and directed by Kevin McKidd. Air Date: Thursday, April 26 (8:00-9:00 p.m. EDT), on ABC. During presentations on Grey Sloan Surgical Innovation Prototypes Day, Arizona shares some cookies from an appreciative patient that, unbeknownst to her, contain a special ingredient. 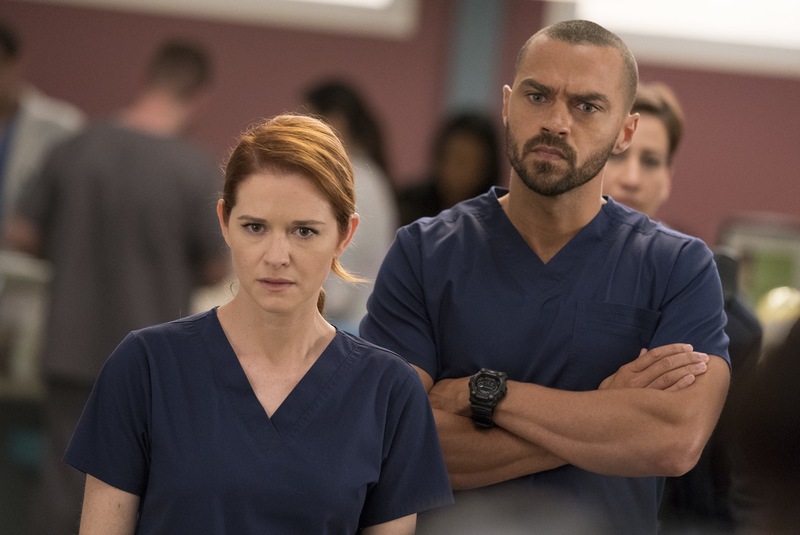 Meanwhile, Catherine reveals some shocking details to Jackson about his grandfather’s past; and Jo steps in mid-operation on a major surgery after Bailey and Meredith are down for the count. Guest starring are Debbie Allen as Catherine Avery, Stefania Spampinato as Carina Deluca, Alex Blue Davis as Casey Parker, Jake Borelli as Levi Schmitt, Rushi Kota as Vik Roy, Sophia Ali Taylor as Dahlia Quadri and Jaicy Elliot as Taryn Helm. “Judgment Day” was written by Julie Wong and directed by Sydney Freeland. Grey’s Anatomy stars Ellen Pompeo as Meredith Grey, Justin Chambers as Alex Karev, Chandra Wilson as Miranda Bailey, James Pickens Jr. as Richard Webber, Kevin McKidd as Owen Hunt, Jessica Capshaw as Arizona Robbins, Jesse Williams as Jackson Avery, Sarah Drew as April Kepner, Caterina Scorsone as Amelia Shepherd, Camilla Luddington as Jo Wilson, Kelly. Air Date: Thursday, April 19 (8:00-9:00 p.m. EDT), on ABC. An agent from ICE shows up at Grey Sloan in search of an employee who may be working in the U.S. under DACA. Alex’s patient Kimmie wants to leave the hospital to enjoy her final days, but Alex feels differently. Meanwhile, Arizona treats Matthew Taylor’s baby and April wants to do whatever she can to help. Guest starring are Debbie Allen as Catherine Avery, Stefania Spampinato as Carina Deluca, Jeanine Mason as Sam Bello, Alex Blue Davis as Casey Parker, Jake Borelli as Levi Schmitt, Rushi Kota as Vik Roy, Sophia Ali Taylor as Dahlia Quadri and Jaicy Elliot as Taryn Helm. “Beautiful Dreamer” was written by Meg Marinis and directed by Jeannot Szwarc. Air Date: Thursday, April 12 (8:00-9:00 p.m. EDT), on ABC. Amelia, Koracick and DeLuca perform a risky, groundbreaking procedure using ultrasound waves to remove a young patient’s brain tumor. 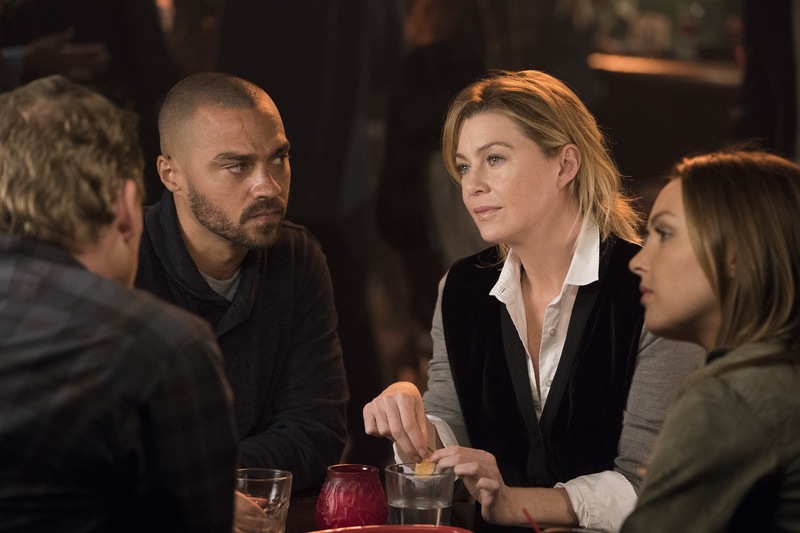 Meanwhile, Meredith and Jo work with different polymers to try to salvage their project submission; and Richard’s AA sponsor is admitted to Grey Sloan with a DNR. Guest starring are Jason George as Ben Warren, Greg Germann as Tom Koracick, Jeanine Jason as Sam Bello, Alex Blue Davis as Casey Parker, Jake Borelli as Levi Schmitt and Jaicy Elliot as Taryn Helm. “Hold Back the River” was written by Alex Manugian and directed by Geary McLeod. Air Date: Thursday, April 5 (8:00–9:00 p.m. EDT), on ABC. Guest starring is Kim Raver as Teddy Altman. “One Day Like This” was written by Elisabeth R. Finch and directed by Kevin McKidd. Air Date: Thursday, March 29 (8:00-9:00 p.m. EDT), on ABC. Meredith tries to learn more about Marie Cerone’s history with her mother. Maggie’s relationship with Clive starts to progress, and she invites him over for a game night to meet Meredith and Amelia. Meredith and Jo meet with the owner of the patent to the polymer they need for their project, who coincidentally is a friend of the family. Guest starring are Rachel Ticotin as Marie Cerone, Greg Germann as Tom Koracick, Stefania Spampinato as Carina Deluca, Alex Blue Davis as Casey Parker, Jake Borelli as Levi Schmitt and Jeanine Mason as Sam Bello. “Games People Play” was written by Jason Ganzel & Julie Wong and directed by Chandra Wilson. Air Date: Thursday, March 8 (8:00-9:00 p.m. EST), on ABC. Seattle firefighters Ben Warren and Andy Herrera head to Grey Sloan after rescuing two boys that are injured in a house fire. With one of the boys’ lives literally in Andy’s hands, her skills are put to the test. Meanwhile, the doctors are hard at work on their projects for the Grey Sloan Surgical Innovation Contest; and Amelia brings Tom Koracick in to consult on her and Alex’s patient. Guest starring are Jaina Lee Ortiz as Andy Herrera, Greg Germann as Tom Koracick, Sophia Taylor Ali as Dahlia Qadri, Jake Borelli as Levi Schmitt, Jeanine Mason as Sam Bello, Jaicy Elliot as Taryn Helm and Rushi Kota as Vik Roy. “Grey’s Anatomy” stars Ellen Pompeo as Meredith Grey, Justin Chambers as Alex Karev, Chandra Wilson as Miranda Bailey, James Pickens Jr. as Richard Webber, Kevin McKidd as Owen Hunt, Jessica Capshaw as Arizona Robbins, Jesse Williams as Jackson Avery, Sarah Drew as April Kepner, Caterina Scorsone as Amelia Shepherd, Camilla Luddington as Jo Wilson, Kelly McCreary as Maggie Pierce, Jason George as Ben Warren and Giacomo Gianniotti as Andrew DeLuca. Air Date: Thursday, March 1 (8:00-9:00 p.m. EST), on ABC. April is in charge of the new Grey Sloan Surgical Innovation Contest, and the doctors are eager to start their projects. 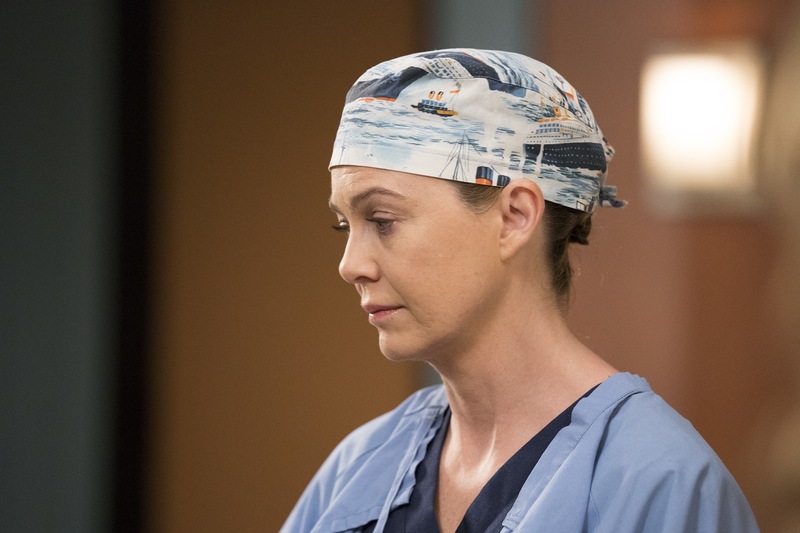 Meanwhile, Catherine’s old friend has a shocking idea for Catherine and Jackson; and Meredith treats a returning patient who inspires her project. Guest starring are Debbie Allen as Catherine Avery and Stefania Spampinato as Carina DeLuca. “Harder, Better, Faster, Stronger” was written by Kiley Donovan and directed by Jeannot Szwarc. Air Date: Thursday, Feb. 8(8:00-9:00 p.m. EST), on ABC. Guest starring are Debbie Allen as Catherine Avery and Amy Landecker as Morgan. “(Don’t Fear) the Reaper” was written by Elisabeth R. Finch and directed by Nicole Rubio. Air Date: Thursday, February 1 (8:00-9:00 p.m. EST), on ABC. A young boy is admitted to Grey Sloan Memorial and his case has a profound impact on the doctors. 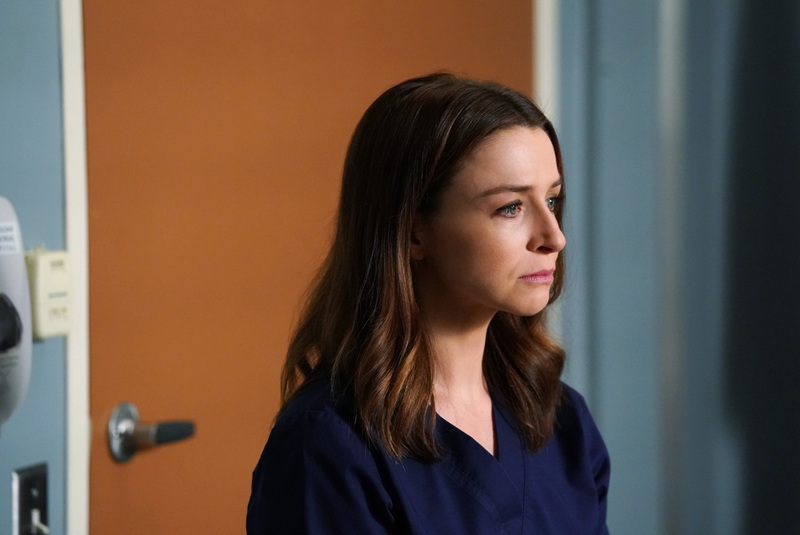 Meanwhile, April is faced with a surprising patient, and Jo continues to deal with her estranged husband. Air Date: Thursday, 25 (8:00-9:00 p.m. EST), on ABC. “1-800-799-7233” was written by Andy Reaser and directed by Bill D’Elia. Air Date: Thursday, 18 (8:00-9:00 p.m. EST), on ABC. A hacker compromises the hospital’s computer system, causing monitors, phones, labs and patient files to all go down. As technology fails them, Bailey attempts to keep the peace but chaos erupts and the doctors are forced to get creative in their methods to treat the patients. Guest starring is Stefania Spampinato as Carina DeLuca. “Out of Nowhere” was written by William Harper and directed by Kevin McKidd. Air Date: Thursday, November 16 (8:00-9:00 p.m. EST), on ABC. Guest starring in this episode are Debbie Allen as Catherine Avery and Stefania Spampinato as Carina DeLuca. “Who Lives, Who Dies, Who Tells Your Story” was written by Krista Vernoff and directed by Debbie Allen. Air Date: Thursday, November 9 (8:00-9:00 p.m. EST), on ABC. Guest starring in this episode are Greg Germann as Tom Koracick and Stefania Spampinato as Carina DeLuca. “Come on Down to My Boat, Baby” was written by Kiley Donovan and directed by Lisa Leone. Air Date: Thursday, November 2 (8:00-9:00 p.m. EDT), on ABC. In a flashback to Iraq in 2007, the events leading up to Megan’s kidnapping are revealed. In present day, Owen and Megan hash out old wounds. 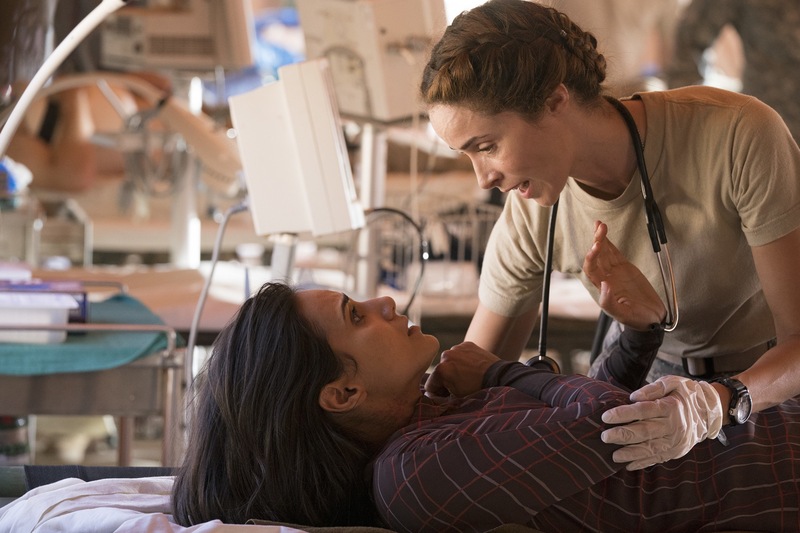 Guest starring is Abigail Spencer as Megan Hunt and Kim Raver as Teddy Altman. “Danger Zone” was written by Jalysa Conway and directed by Cecilie Mosli. Air Date: Thursday, October 26 (8:00-9:00 p.m. EDT), on ABC. 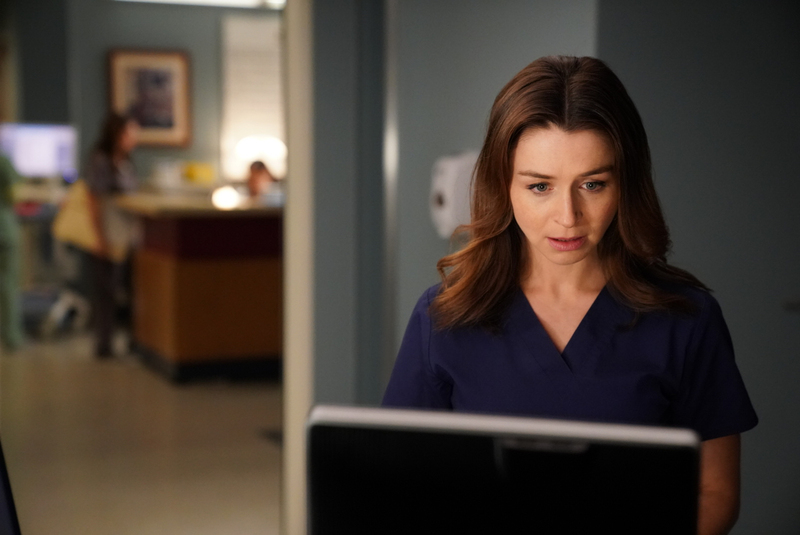 Amelia confronts a difficult situation, while Meredith deals with the fallout from her conversation with Nathan. Maggie finds herself at an awkward family dinner, Jackson receives big news, and Richard and Bailey search for the stars of tomorrow. “Ain’t That a Kick in the Head” was written by Marlana Hope and directed by Geary McLeod. Air Date: Thursday, October 12 (8:00-9:00 p.m. EDT), on ABC. Guest starring is Kim Raver as Teddy Altman, Abigail Spencer as Megan Hunt and Stefania Spampinato as Carina DeLuca. 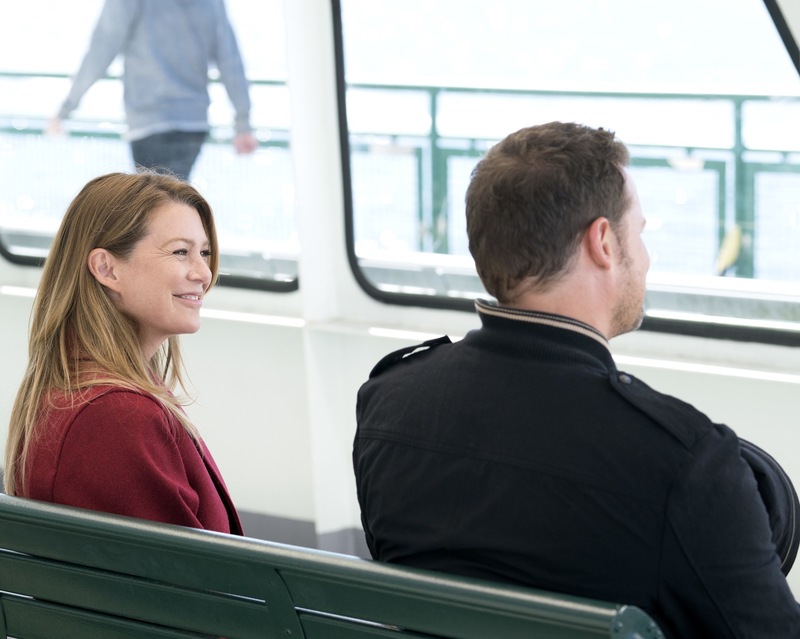 “Get off on the Pain” was written by Krista Vernoff and directed by Kevin McKidd. 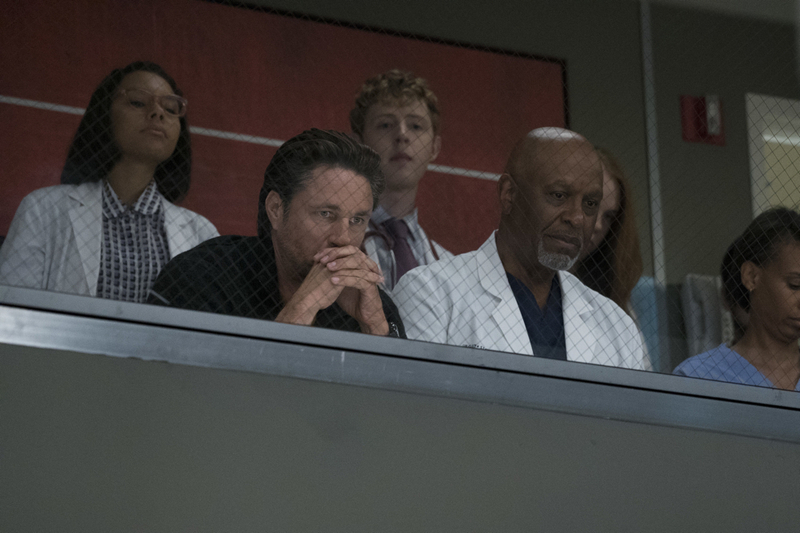 MARTIN HENDERSON, JAMES PICKENS JR.
Meredith and the team are focused on helping Owen’s sister after her shocking return, and Amelia faces a conflict over a patient. “Break Down the House” was written by Krista Vernoff and directed by Debbie Allen.